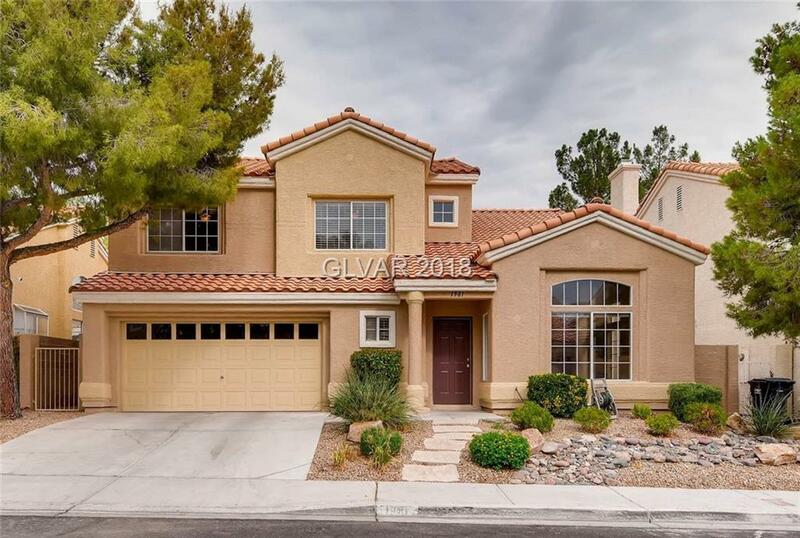 Beautiful fully remodeled move-in ready Summerlin home with granite counter tops throughout, stainless steel appliances, pantry, master with full master bath & walk in closet, vaulted ceilings, and large grass backyard. Master with attached master bath and walk in closet. Additional 3 ample sized bedrooms upstairs. New reliable HVAC systems to stay cool.